A husband and wife married for 18 years face being separated after the Government ruled he must return to America. Collette Murwin and her husband Clayton, of Liscard, Wallasey , have been told that Clayton ‘does not fit the criteria’ to remain in the UK. 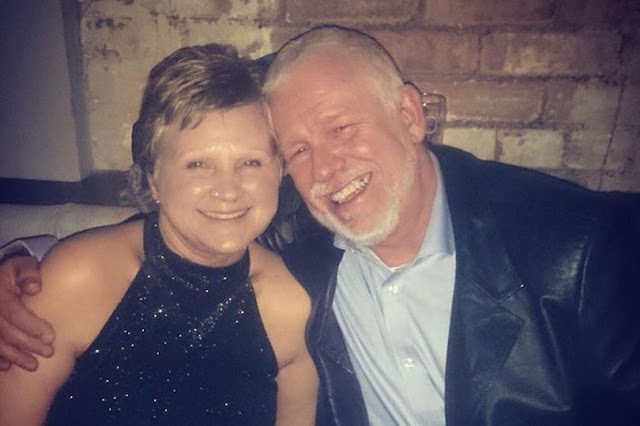 The couple, who have been married for 18 years, previously lived in the UK - from 2000 to 2003 - but then moved to America for 13 years to care for Clayton’s ill mum. However in 2016, the couple moved back to the UK and after his six month visa ran out Clayton applied to stay, the Liverpool Echo reports . But, this week Clayton, 53, was told the devastating news that not only had his application been refused but the decision was final, with no chance to appeal. He now faces deportation at any time. His heartbroken wife Collette said the ruling is like “waiting for a death sentence” as she fears she may never see her husband again. The 56-year-old said: “We didn’t think there would be an issue, because he had been granted it the first time and we can prove our family structure - we have been married for 18 years. “But apparently we don’t fit the criteria for a family life visa. “We are all absolutely devastated. She added: “There is nothing out there for Clayton, his mum passed away in August, and his life is here with his family. “We just want to be together. “We don’t want any benefits, if that is what they are concerned with and we don’t need any assistance. Because their application has been certified, which means they cannot appeal, the only option Collette and Clayton have is to apply for a judicial review, which costs £4,000. The review means a judge can overturn the certification, which would give them the right to appeal, however their application could still be denied. And in the meantime, if Clayton does not leave the UK, he will be deported and then banned from entering the UK for 10 years. Collette is also unable to go to the USA with him, as she did not return to the country within a year, therefore her green card has expired and is unlikely to be renewed. She added: “I gave vows to Clayton - does that not mean anything to them? “I have found my soulmate and it is not often someone in life does that. “But then to be told you have to leave them against your will? “How can we have a relationship over Skype, after being together all this time? “It was hard enough doing that with my family while I was over in America and I wasn’t happy, which is why we moved back. A petition has now been launched against the ruling and friends and family have launched a just giving page to raise funds so Clayton and Collette can attempt a judicial review. A Go Fund Me page to help the couple raise £4,000 for the judicial review.